Introducing a cutting edge concept in handlebars. This 3 piece, fully adjustable system gives you the versatility to Customize the look and feel of your ride. 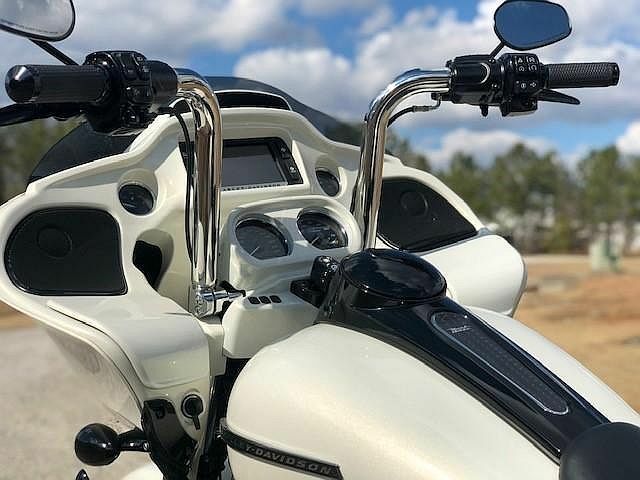 The PATENTED Collection gives you the benefits of an adjustable handlebar, without sacrificing the looks of a traditional handlebar. These handlebars are 1.5" OD which gives you a very strong and robust look. Super Easy to internally wire- No more headache of running wires inside bars. Clamping surface is equip with Anti-Slip Technology ensuring a solid and strong hold with no rotation in the clamp. We have 2 variations of clamps to fit the different Harley Davidson motorcycle families so choose the correct clamp for your application.